So it comes down to this, Charles Schulz actually made one of the Peanuts graphic novels which focus on every main character of the series. 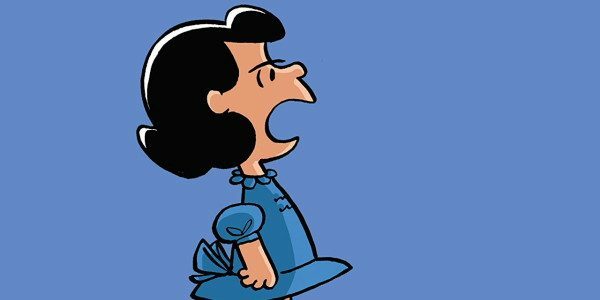 This time, we focus on Lucy van Pelt a fussbudget which actually makes her an immature and a terrible person, nonetheless a bossy person and a bully, like the old football gag against Charlie Brown, well that’s kind of hilarious, but she’s actually a nice person deep down, so I didn’t completely hate her. 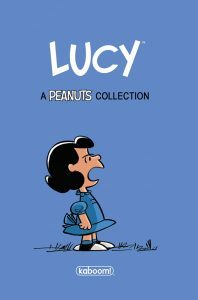 Anyway, this graphic novel shows every story of Lucy created by Charles Schulz himself. Even if Lucy is still a fussbudget, then what would you imagine what these two individuals Donald Trump and Hillary Clinton would look like in front of all the good people, how would you feel like going to another election in 2020 just to see Trump and Clinton embarrass themselves, I would probably vote for an ideal candidate just to look forward. So anyway, about the comic of Lucy, it brings you everything of her story when she’s actually a fussbudget and bosses everything around. As if it’s almost like her life sucked even worse, even for that she takes the blame against anyone. Like the “Crabby New Year” part, as if anyone is happy except Lucy who tries to jump to conclusions over the new year resolutions. I don’t actually hate the new years, because reaching new years is like reaching a new year just for everyone to start something right for this year. Regardless, I make my resolutions this year and I’m still progressing it. Other stories include of her narcissist way when she gets what she wants, like “Miss Crabby Pageant” for example, she entered a contest for being the best crabby person, which is most women are that rude, you’d set up a score which is meaningless to have a competition about arguing, and at the end, everyone is so crabby, they end up going out like a total nut. And there’s the whole neighborhood psychiatrist job of hers which is a booth like you’re selling a drink of lemonade for 25 cents. She is mostly acting like a doctor just to know what’s her client’s problem and finding a solution to them, but what she needs is a real psychiatrist just to know how to find the solution of her problem. To put it that way, you’ll be reading one of the most crabby moments of Lucy’s life. And I’m not saying that she is that a bad person, it’s just she’s actually mentally disoriented. The classic Peanuts stories of her are actually hilarious rather than going over with the football running gag with Charlie Brown. And mostly this collection of stories by Schulz will make your day better. As for what it said according to the comic book resources that this comic is “a healthy mix of old and new…adheres to the spirit of Schulz’s work.” If you rather want to go back reading the old Peanuts comic with your favorite characters on it, then this collective comic is just for you.